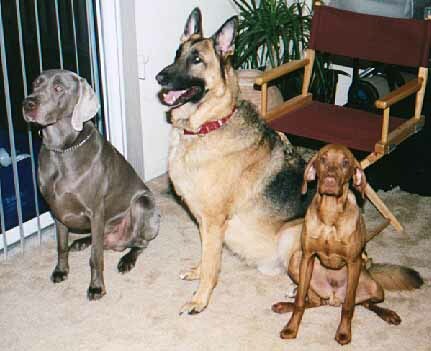 This page added on January 14, 1998. 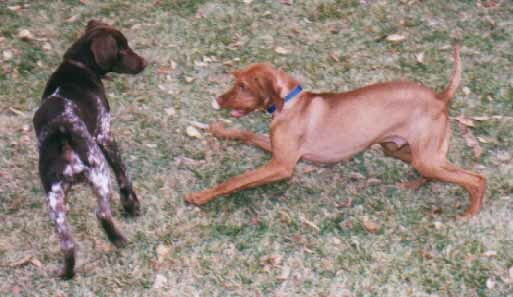 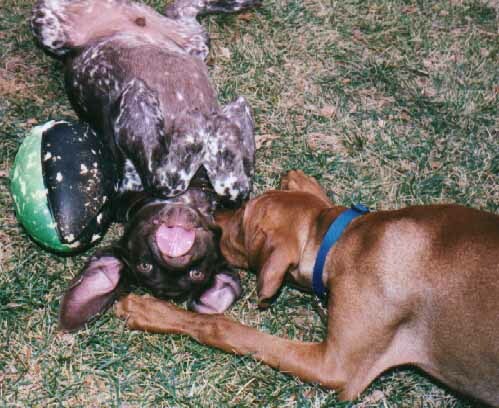 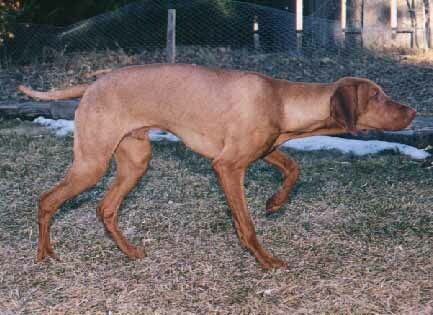 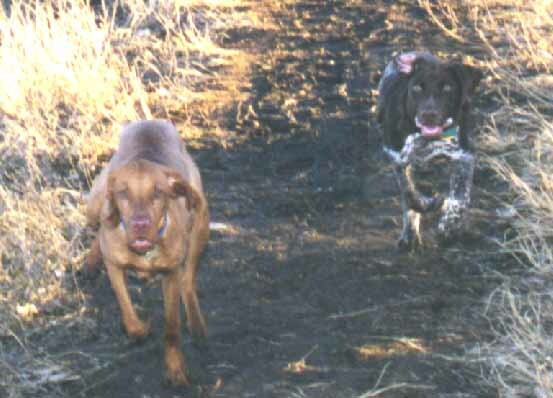 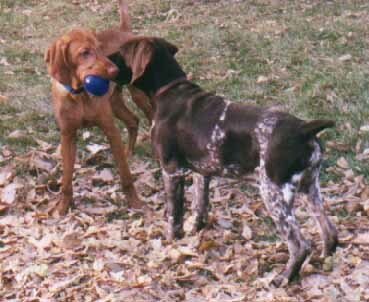 Small dog that was painted to look like a cow: Griff, a German Shorthaired Pointer 1 month younger than Calvin. 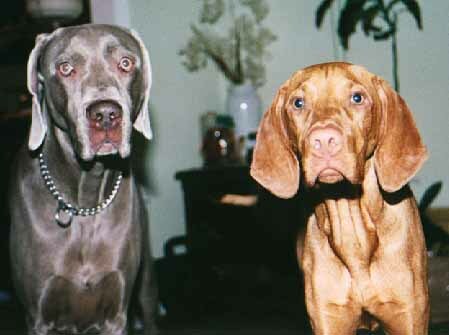 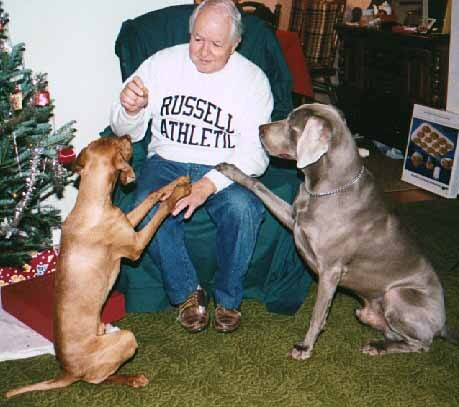 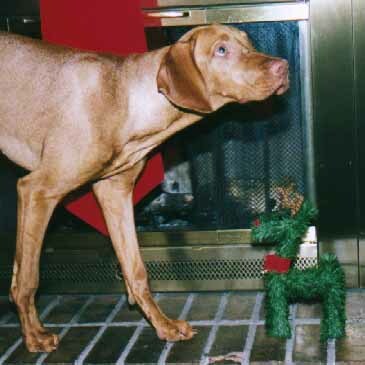 90 pound silver dog: Beau, Karen's brother's Weimeraner. 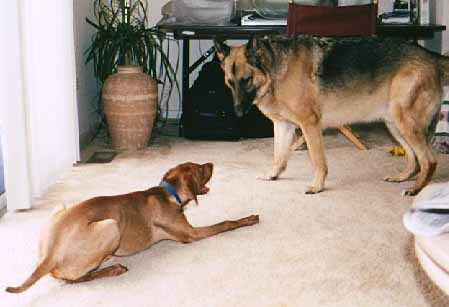 100 pound German Shepherd: Zeke, Karen's sister's dog. 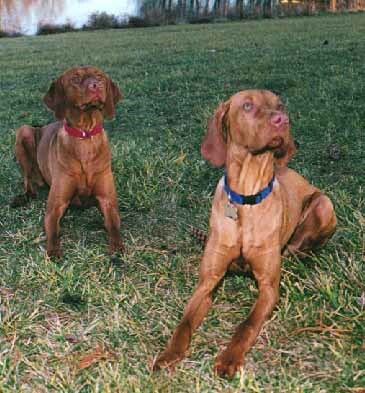 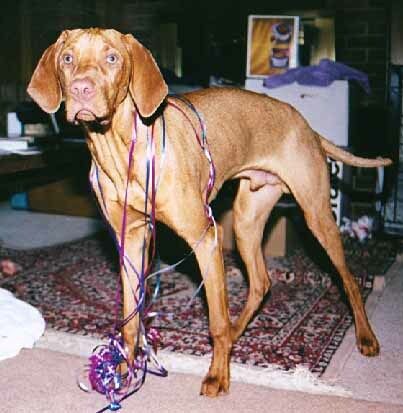 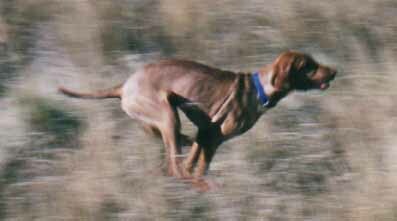 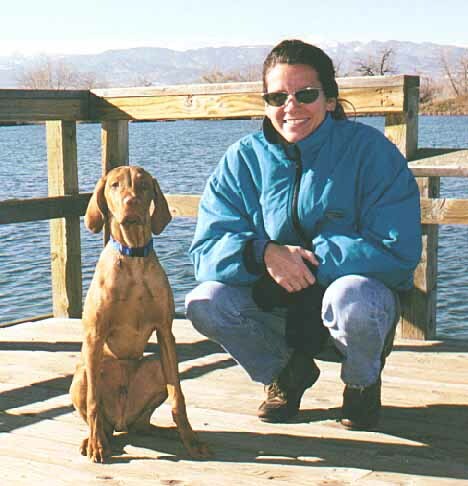 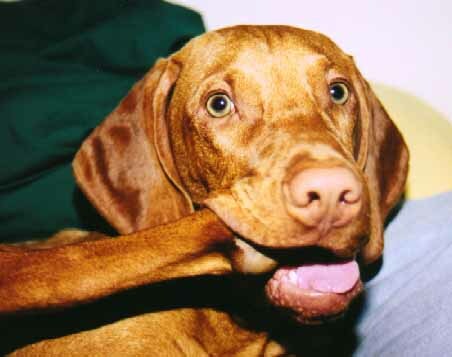 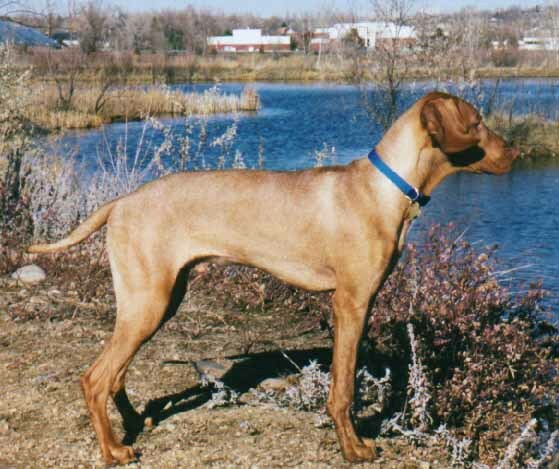 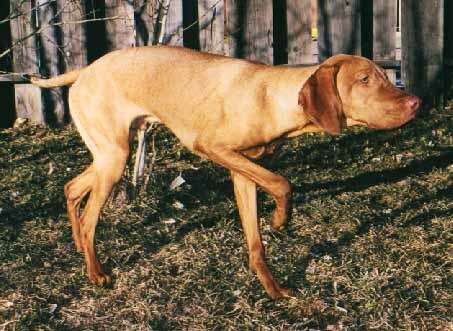 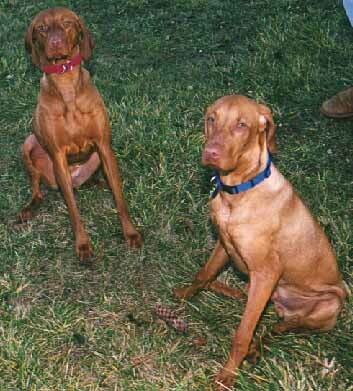 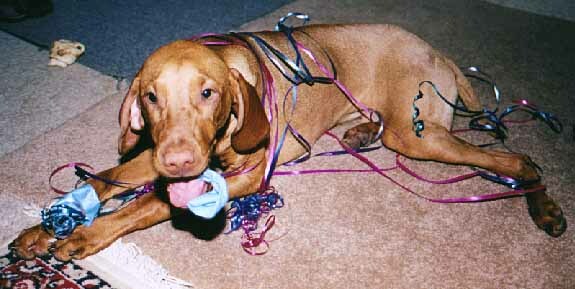 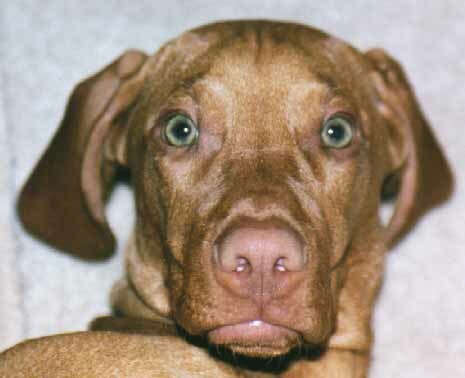 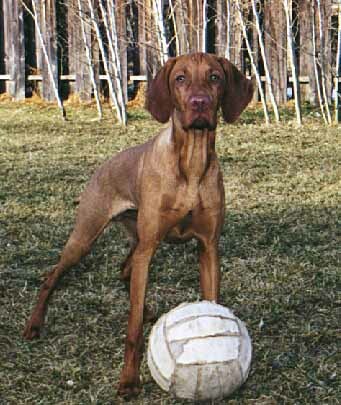 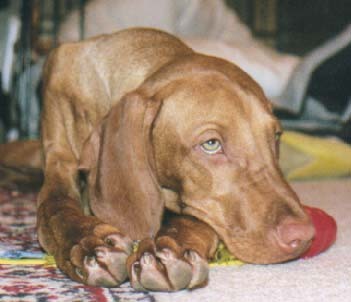 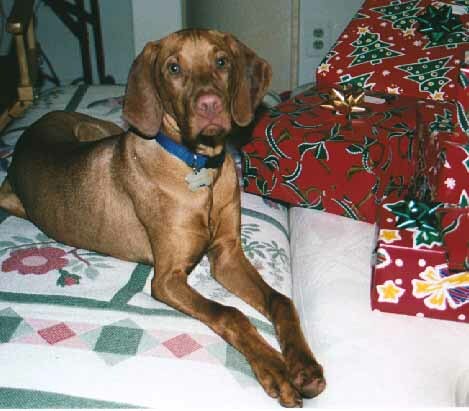 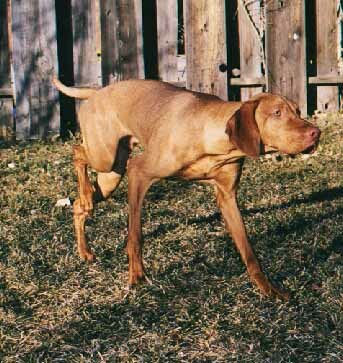 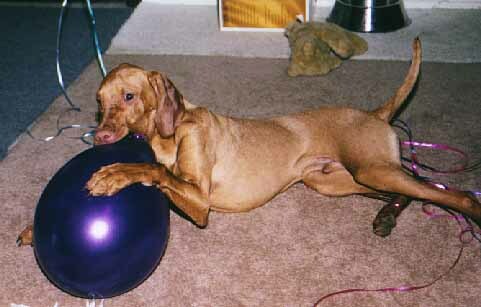 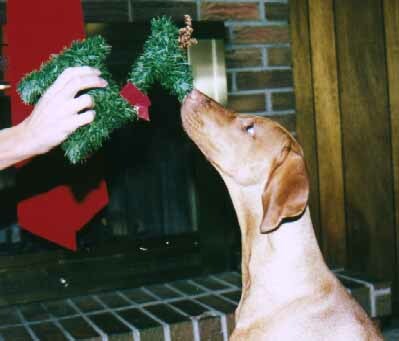 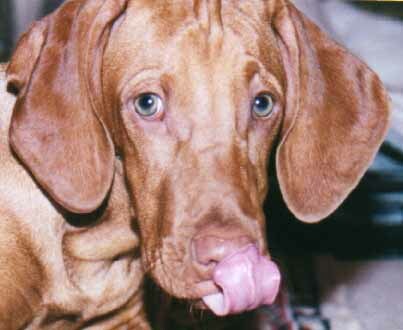 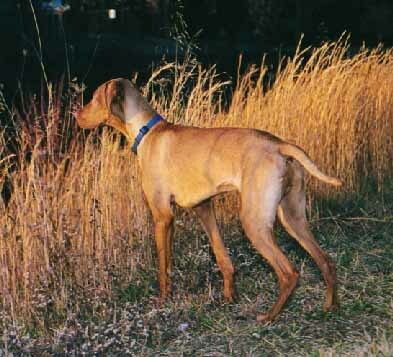 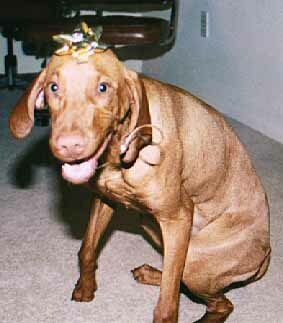 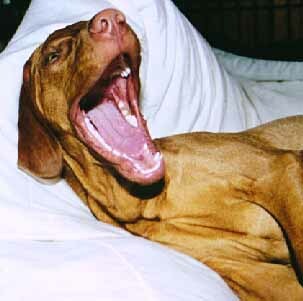 Adorable little red dog: Breezy, the vizsla who owns Lisa and Dan Dionisio in Maryland.